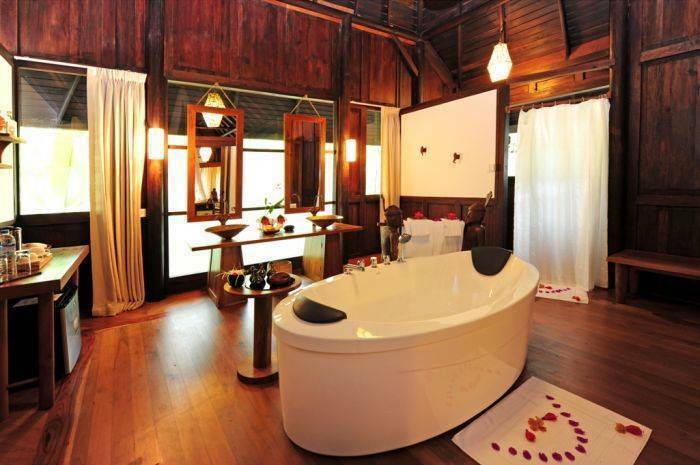 Opening on 21 November 2011 of the first phase of Villa Inle Resort & Spa, located beside the cultural and natural icon that is Myanmar’s Inle Lake. Spread over more than 20 acres on the eastern fringe of the lake near the village of Maing Tauk, our boutique property features 16 secluded lakeside villas, and is the ideal choice for those seeking a unique experience, away from mass-market tourism. 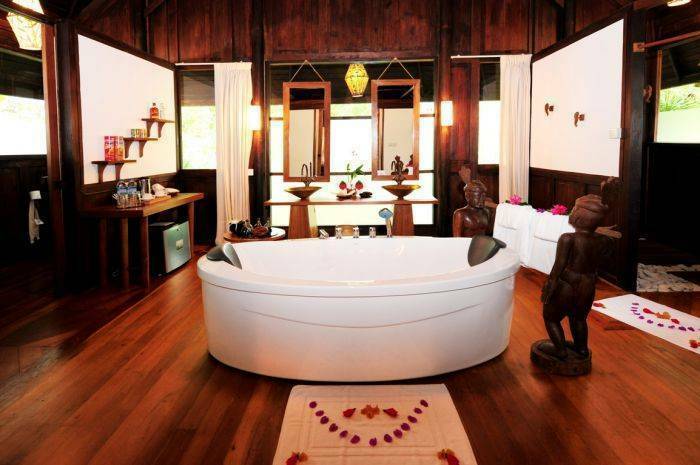 All villas at Villa Inle Resort & Spa are designed to harmoniously blend in with the natural environment. Featuring hand-selected local paintings and antiques, high wooden ceilings, and spacious living areas and bathrooms, they radiate a sensation of luxury and comfort. When not exploring Inle Lake – famed for the villages perched above its waters and the local “leg-rowing” fishermen – allow our highly trained therapists to pamper you in our " Lotus Spa ". Featuring four treatment rooms, it’s guaranteed to rejuvenate and invigorate mind, body and soul. Our restaurant and bar is the ideal place to unwind at the end of the day, sipping a cocktail or eating the traditional food of the local Inntha people as the sun sets above the lake. While many guests spend only one or two days at Inle Lake, we encourage visitors to take their holiday at a more leisurely pace in order to better appreciate the beauty of this amazing region. 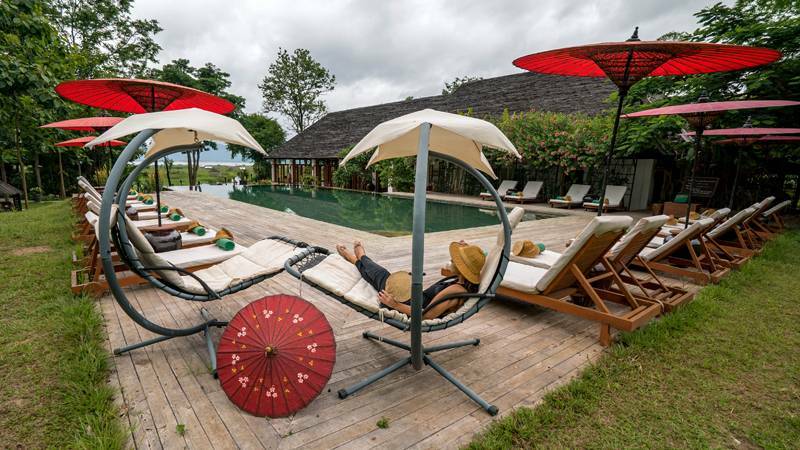 With an emphasis on individuality and luxury, Villa Inle Resort & Spa caters to those looking for an exclusive and unique experience – one that cannot be found anywhere else. 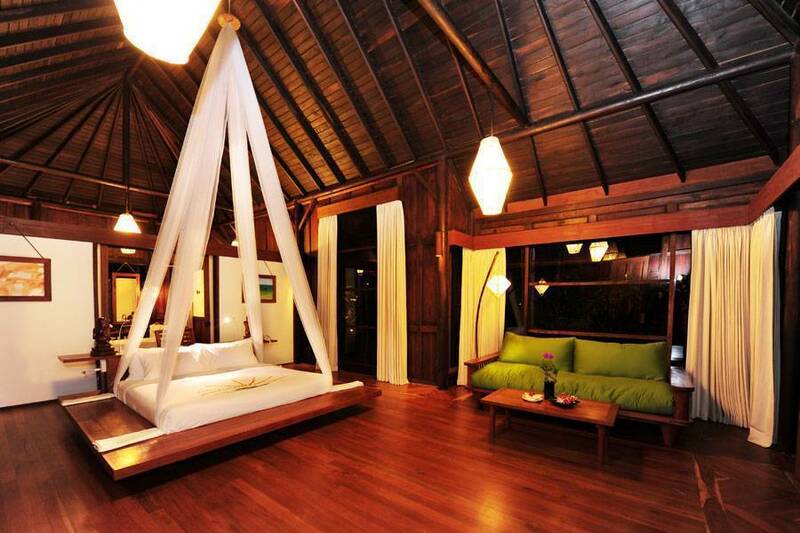 Free Internet Accees, IDD Telephone, Luxury Bath tub and every villas has a Safe Deposit Box. 10 Lake Front Single Villas and 6 Lake Side garden Single Villas with hot and cold dual air-conditioned Teak Wood Old Maison. Every Villas has own terrace over looking to Mystical Inle Lake. A/C climate control Balconies Coffee & Tea Making facility Coffee/tea maker Daily Seasonal Fresh Fruits Fireplace (wood burning) Hairdryer Honeymoon Bathtub over looking Garden & Lake Iron/ironing board Maid service daily Mini-bar Mountain view rooms Non-smoking rooms Private bathroom Refrigerator Rollaway beds available Safe box in room Separate Shower Room and Toilet Separate Toilet & Shower Room Telephone Television (cable/satellite) Toiletries WIFI Wake-up calls a Safe Deposit Box. The place is called Shan State and it is located in the eastern part of Myanmar. There are many interesting places to visit in the region but the main attraction is Lake Inle, which is famous for its unique beauty. Enhanced by its natural beauty, Lake Inle becomes well know as a destination for the vacationers who are seeking a relaxed holiday. 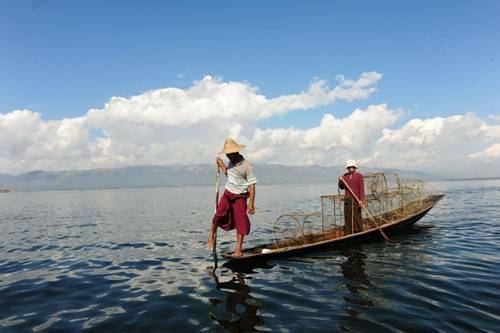 Many people think of Lake Inle as a place that can be seen during a short two or three day trip. But they are surprised to learn that they can stay there for a week and still have many things to explore. Most of the area is unspoiled, and there are many picturesque places that travellers can visit and have all to themselves. for their distinctive leg-rowing technique. A valid credit card is required to guarantee your reservation. Payment Due at Check-out ONLY in Cash. Cancellations more than 21 days prior to arrival - No Charge. Cancellations less than 21 days prior to arrival and No Shows - Full Charge. 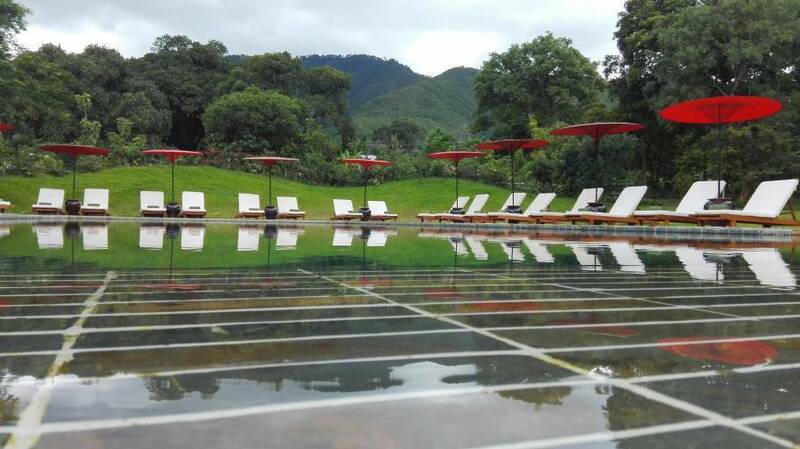 The Resort itself is located on the shore of the Eastern Bank of Inle Lake and just 70 minutes driving distance from Heho Airport to Nyaung Shwe Jetty and another 20 minutes needed to take a private boat to Resort. Limousine pick up and Private Boat can be arranged by the Resort from and back Airport.